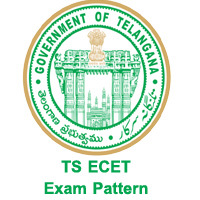 TS ECET Exam Pattern 2019 is available. Check the Telangana State Engg Common Entrance Test ( TECET) 2019 test pattern and download using the link below. The TS ECET exam pattern for Engineering stream, Pharmacy, B Sc Mathematics are given in the below sections of this article. Also, check TS ECET exam dates and Telangana Engineering common entrance test Syllabus 2019. JNTU, Hyderabad conducting the Engineering Common Entrance Test on behalf of the Telangana state Council of Higher Education (TSCHE). Telangana ECET exam is for the admissions of lateral entry batches in Engg, Pharmacy, B Sc Maths degree holders. It is mandatory for every candidate to know about the TSECET exam pattern. So, we have given the TSECET exam pattern 2019 on this page. Students who applied for Telangana ECET exam can check the TS ECET exam pattern. You will be benefited if you once go through the exam pattern given below. Then you may get a complete knowledge regarding the Nature of exam, the pattern of questions, subjects, time duration. ECET Exam Pattern 2018 provided here includes all the subject wise marks, section wise time, marking schemes. Hence you can differentiate the areas in which you are weak and better. So that you can spend more time on the topics which you feel difficult. You can find all complete details of the TS ECET Notification 2019 in the below sections of this page. Candidates are advised to check thoroughly the TS ECET exam pattern so that you can have a complete idea regarding the subject wise marks, the time duration of TSECET exam and Telangana state ECET marking scheme. The TS ECET exam pattern is provided separately for the Engineering, Pharmacy, B.Sc Mathematics in tabular form to have a quick view. The TS ECET is an Objective type exam. Total marks of the Telangana State Engg common Entrance test is 200. Each Question in the Telangana ECET EXAMcarries one mark. There will be no Negative mark in any section of the TS ECET question paper. The Time duration of the TSECET exam is 3 hours. The information about the Telangana state ECET exam available on this page may help you to clear the TSECET Exam 2019. To get more latest updates of the TSECET exam 2019, keep visiting our site www.ecet.co.in.